Une Leçon de Grand Cru! 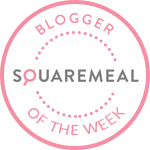 As an event organiser do you know your plonk from your grand cru? 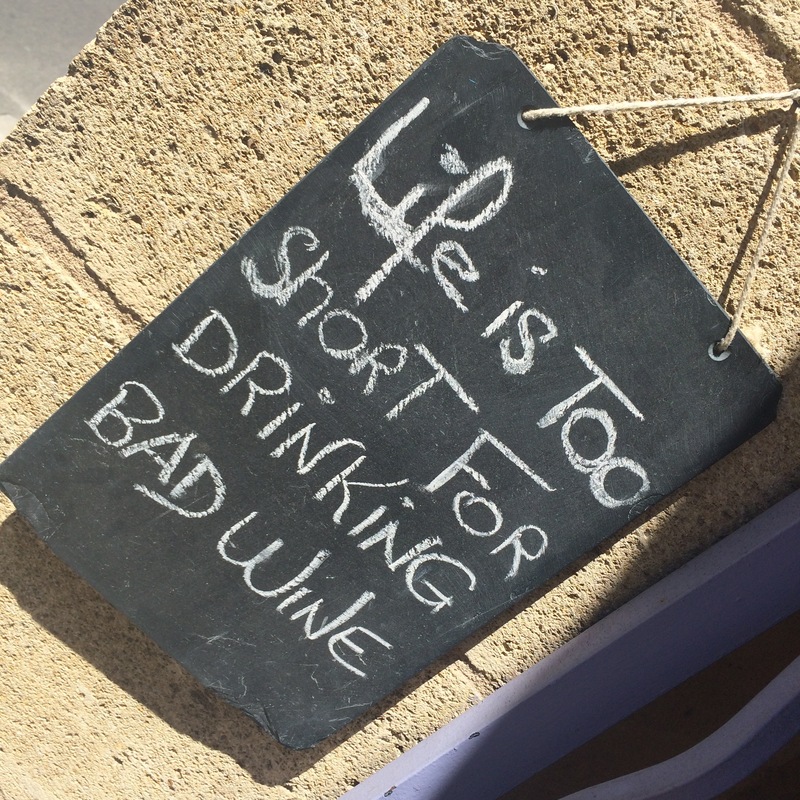 I’ve just returned from a very relaxing two week break with Mr Moon in the Rhone Valley or to be precise Châteauneuf-du-Pape, so it’s only fitting that my first post-holiday diary post should be on this very famous wine! 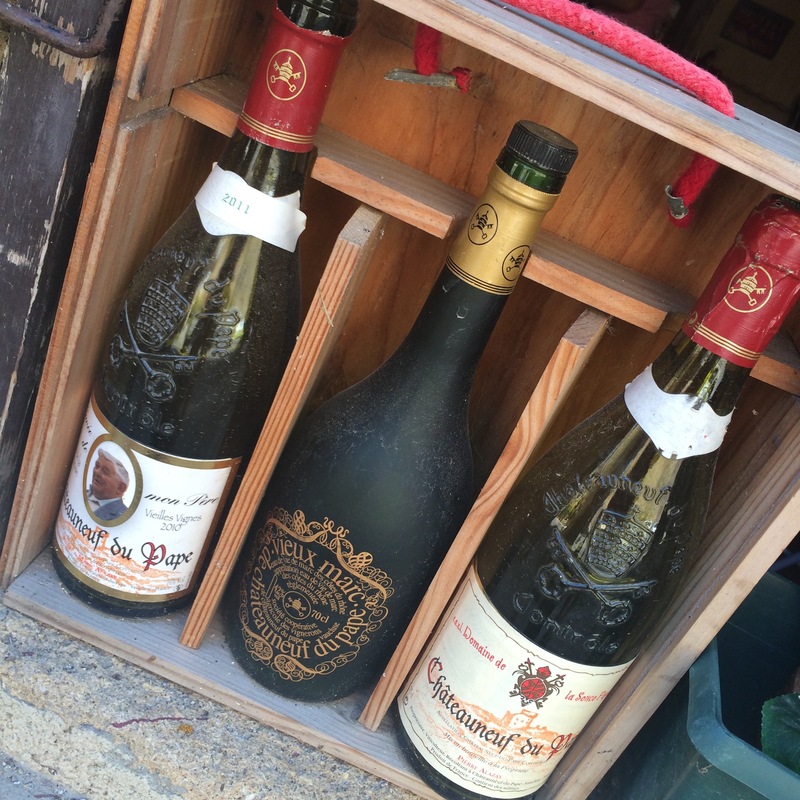 I’m going to tell you a little more about what I’ve learnt about the history of the Châteauneuf-du-Pape region during my visit and the vital ingredients that add to the complexity of this ‘Grand Cru’ of wines, so the next time you’re asked you can dazzle your clients with your new found knowledge (if indeed you didn’t already know). 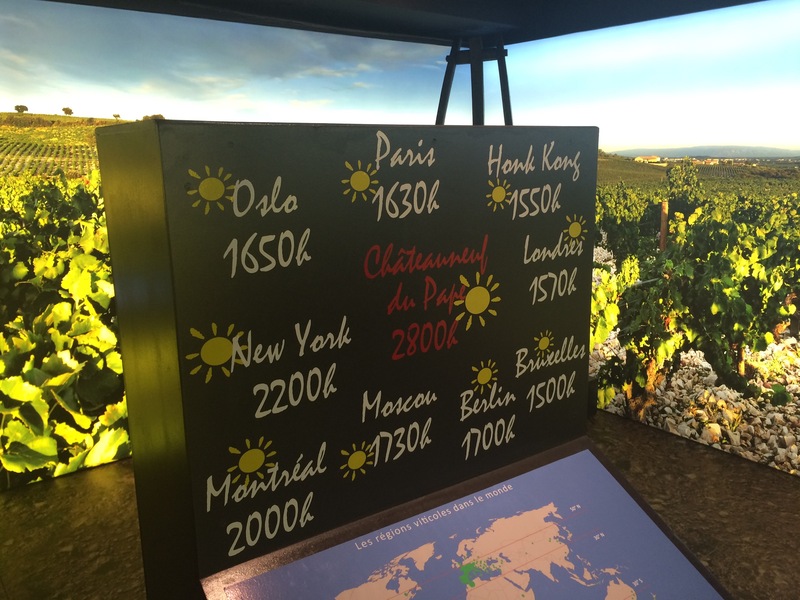 There are approximately 200km of vineyards in the Rhone Valley with 25 grape varieties, the main of which are Grenache and Syrah, Syrah to the north of the valley and Grenache to the south. 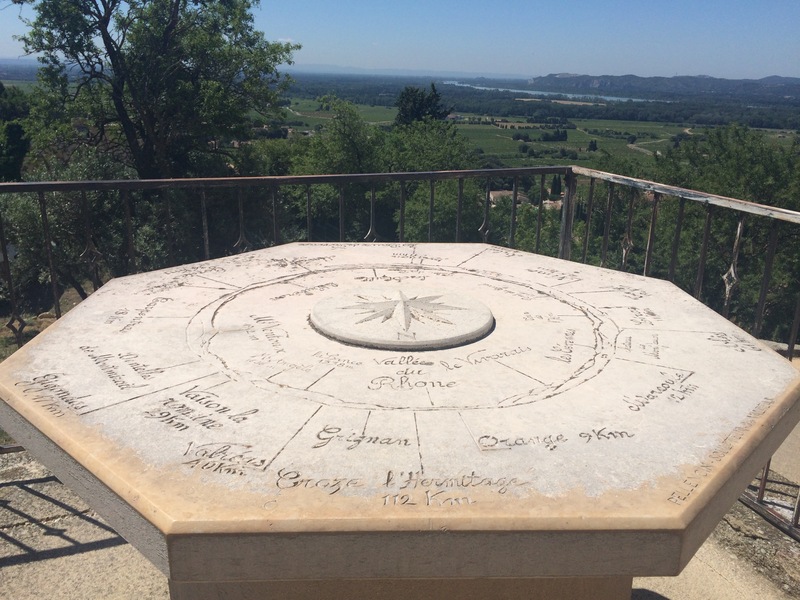 The Rhone Valley is famous for it’s climate, which I will come back to in a second, continental in the north and mediterranean in the south, which also adds to the flavour and complexity of a lot of the wines produced in this region. Another famous Rhone Valley wine Cote du Rhone & Village originates from the south of the valley of which there are also 16 additional cru (French for great growth) varieties and 80% of the wines produced in this region are red. To give you a little bit of history, wine production in the region originated and was introduced by the Romans, no real surprise there! At the start of the 14th century the papacy who resided in Avignon rather than Rome from 1309 to 1377 took over. This absence of popes from Rome is sometimes referred to as the ‘Babylonian Captivity of the Papacy’ and was due to the then conflict with the French Crown, and it was the residence of popes in the area that led to the now famous name of Châteauneuf-du-Pape which roughly translated means ‘The Pope’s new castle’. 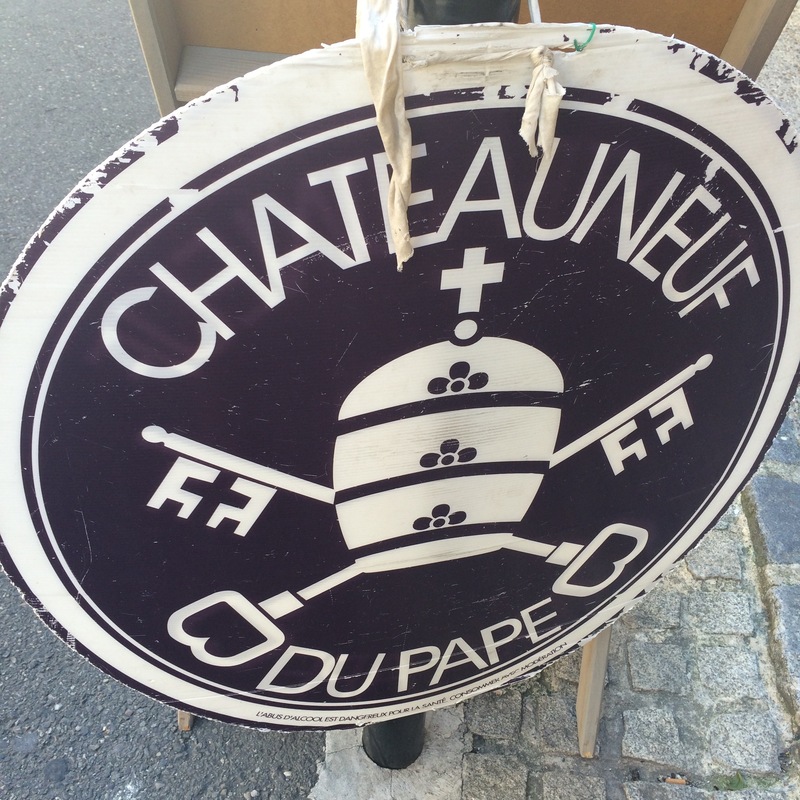 From the 18th century the control of the vineyards shifted to wealthy families and estates with what we now recognise as the wineries and vineyards of French wines today however, a Châteauneuf-du-Pape wine bottle is still embossed with the papal regalia and insignia. The Châteauneuf-du-Pape wine producers are incredibly proud of their certification, the appellation d’origine contrôlée or AOC, which for a wine is determined by time honoured traditions of farming, soil, grape variety and alcohol content in addition to location originating to the year 1411 with the first French law dating back to 1905. Châteauneuf-du-Pape is one of the most famous of the AOC wines due to it’s quality and prestige and more wine is produced in this one area of the southern Rhone alone than the entirety of the northern region. The complexity of the wine is the result of a combination of circumstances. The first of which is the four different types of soil, limestone, molasic sandstones and marine sands and the famous stones called the galets roulés. These stones are typically quartzite and remnants of Alpine glaciers that have been smoothed over millennia by the Rhône River. They retain heat during the day and release it at night which has the effect of hastening the ripening of grapes. They also serve as a protective layer to help retain moisture in the lower clay layers of the soil during the dry summer months. Secondly is the climate, I obviously speak from first hand experience when I say it’s very dry and very hot, and the ‘Le Mistral’ wind is legendary and essential for chasing away cloud and drying the vines, in fact during our two week stay we saw no cloud at all! There are 13 grape varieties used to produce a Châteauneuf-du-Pape wine (15 varieties are allowed by AOC laws) of which 97% produced are red and 3% are white. It is very rare that you will find a white outside of France and if you do then this will almost certainly be reflected in the price. Grenache noir is the most predominant grape at 72% along with Syrah 10.5% with Mourvèdre 7% in support but also varieties such as Cinsaut, Clairette, Grenache blanc, Roussanne and Bourboulenc 1-2.5% each and then Muscadin, Picardan, Picpoul, Counoise, Vaccarese and Terret Noir 0.5% or less. The wine is often high in alcohol, typically 13-15%, and must be minimum 12.5% under AOC rules so definitely not for anyone without wine legs. Winemaking in the region has a focus on balancing the high sugar levels in the grape with tannins and phenols, and following harvest the grape clusters are rarely de-stemmed prior to fermentation with temperatures kept high and skins frequently pumped over and punched down for the benefit of tannin levels and color extraction to achieve the characteristic dark Châteauneuf colour. Low yields are considered critical to the concentration and complexity of Châteauneuf-du-Pape and generally from older vines some of which can be up to 100 years old. 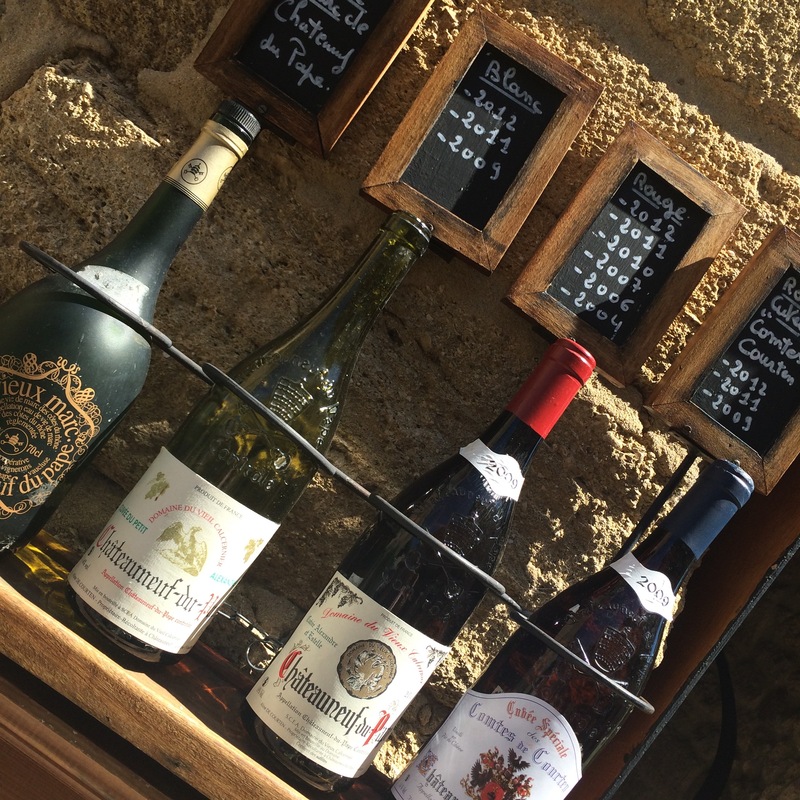 Some of the best producers include Beaucastel, Clos de Papes, Rayas, Charbonnière, Sabon, Nerthe, Domaine Perrin and La Crau is by far Châteauneuf-du-Pape’s most famous lieu-dit or vineyard. The vineyard is owned primarily by Domaine du Vieux Télégraphe, one of the most classic Chateauneuf’s. The most important information? 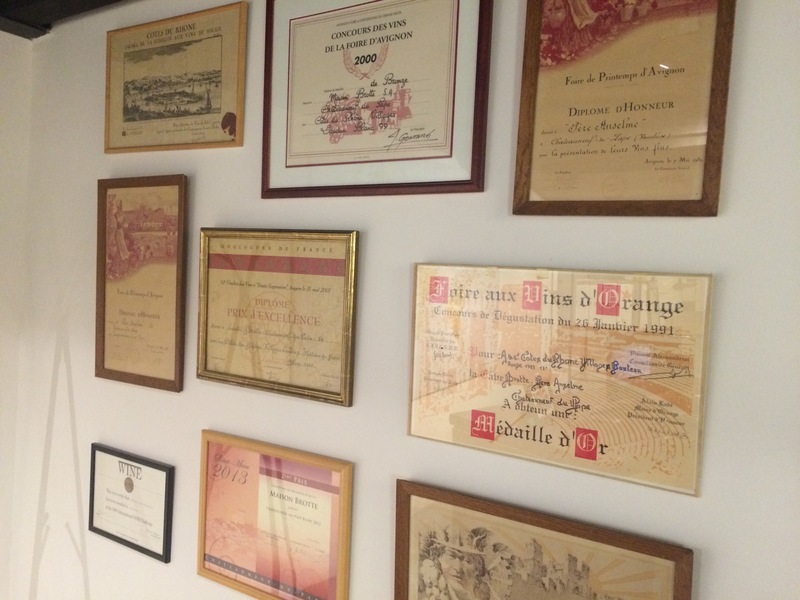 The best vintages of course, which include 1978, 1981, 1985, 1989, 1990, 1998, 2000, 2001, 2003, 2005, 2007, 2009 and 2010. 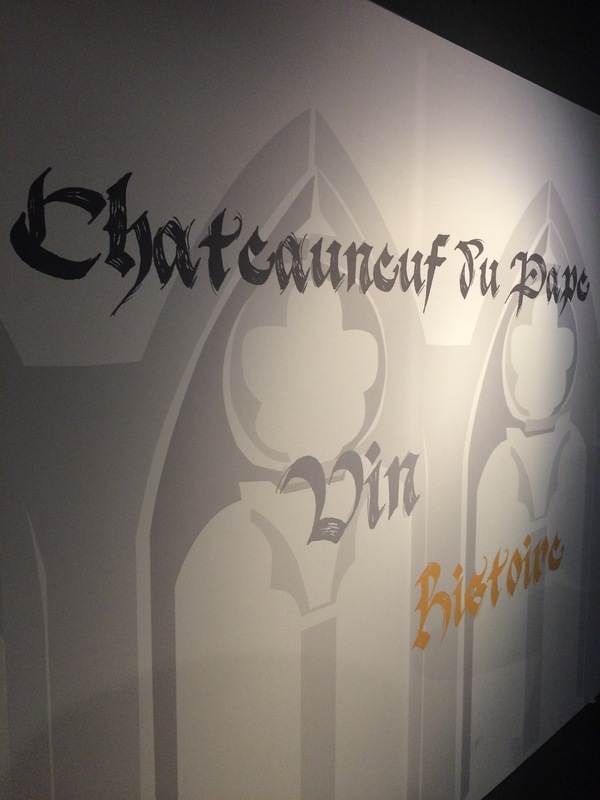 Keep in mind, most Châteauneuf-du-Pape wines are at their best during their first 8 to 12 years of life and to give you an idea of price we looked at a 2005 Châteauneuf-du-Pape priced at £100 a bottle and paid £22 for a 2012! So there you have it, my lesson in Grand Cru, hopefully that gives you a little bit of insight and knowledge you can use that even a top sommelier would be proud of! As I’m currently abstaining from alcohol it was disappointing not to get a taste during our visit to a Domaine but we’ve picked up a couple of 2012 bottles that will age well over the next 10 years so you never know!